Kazakhstan. 19 March 2018: InfiNet Wireless, the leading global manufacturer of carrier-grade broadband wireless solutions, has successfully deployed a high-performance wireless infrastructure for Shubarkol Komir JSC, the largest coal producer in Kazakhstan. This new network effectively represents a major upgrade to the IT infrastructure and the mission-critical video-surveillance platform previously used by this energy company. The project, implemented in conjunction with InfiNet’s regional partner Informsvyaz Kazakhstan LLP (Almaty), consisted of various InfiNet Wireless solutions deployed to successfully provide connectivity between 35 distant facilities which cover an area of more than 75 sq.km within the territory of the Centralny and Zapadny open-pit coal mines. InfiNet’s record-breaking Point-to-Point solution, the InfiLINK 2×2, provided data transfer rates of up to 70 Mbps, as well as rates of up to 35 Mbps for Point-to-Multipoint subscriber units from the InfiMAN 2×2 portfolio, with significant room to deliver even higher capacities well into the future using the same platform. All the wireless units deployed are guaranteed to remain fully operational even during extreme temperature ranges between -55 and +60°C. The added challenge of high levels of humidity and the presence of solid dust particles that are commonly found in the air at open-pit coal mines has been eliminated thanks to InfiNet’s robust units and the use of IP66-rated cameras for the CCTV element. Resistance to extreme environmental factors was crucial in the selection of InfiNet as the preferred technological partner for this project. The current applications deployed by Shubarkol Komir are VoIP services, reliable internet access, a corporate information network as well as a robust and secure CCTV for monitoring field industrial facilities, thus protecting the company’s valuable assets even when deployed in remote locations. “Mining companies rely heavily on good technological platforms to ensure flawless operation and high productivity in all their sites, wherever they are located. We are always ready to implement the most complex of solutions in order to enable connectivity for hard-to-access areas and where deployment of a fiber-optic solution is too costly or simple not technically feasible. Deploying a wireless access network, with the added benefit of including a brand-new video surveillance system for all our quarries, has allowed us to significantly increase the amount of data, and its reliability, gathered from all our extraction sites. This has improved our productivity and our business processes,” said Argyn Agzamov, deputy CIO at EurasiaTeleCom LLP (“Eurasian Group”, ERG). InfiNet Wireless is in a unique position, being one of the largest privately owned Broadband Wireless Access (BWA) development and manufacturing companies in the world. Since its foundation in 1993, InfiNet has maintained organic growth through innovation and its ability to deliver complete customer satisfaction throughout its product life cycle. Listening to its customers for more than 24 years, coupled with its innovative approach in R&D, have resulted in the development of a range of advanced wireless solutions that are a perfect fit for many requirement, making InfiNet Wireless the natural choice for end users, all of whom require uncompromised connectivity. With over 500,000 deployments from the plains of Siberia to the deserts of the Sahara, InfiNet Wireless is active in market segments that deliver Broadband Wireless Access to service providers of all types, law enforcement entities, transportation sector (including mobile and nomadic operators) and Oil & Gas. For more information, please visit our website at www.infinetwireless.com or connect with InfiNet Wireless on social media: @InfinetW. Shubarkol Komir JSC is one of Kazakhstan’s largest thermal coal producers. Established in 1983, the company produces over 9 million tonnes of coal per year covering around 25% of fuel needs of Kazakhstan in the domestic sector. 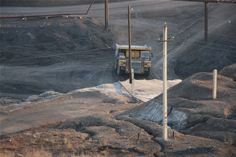 The entity operates two open pit coal mines: Centralny and Zapadny, as well as stone pits. It also performs coal conversion, services access roads, manages rail transportation and produces and sells water. INFORMSVYAZ KAZAKHSTAN LLP was founded in 2008 and is now a member of The Eurasian Group (ERG). Since then the company’s team has put a lot of effort into active introduction of wireless access systems, telecommunications equipment, technical security systems and engineering network construction services onto the Kazakhstan market. An individual approach to each customer, development of projects of any complexity, efficient decision-making, qualified personnel, provision of warranty and post-warranty services are the principles that guide the company in its activities. Stable relations with leading manufacturers precondition flexibility and a personal approach in the development of technical solutions.